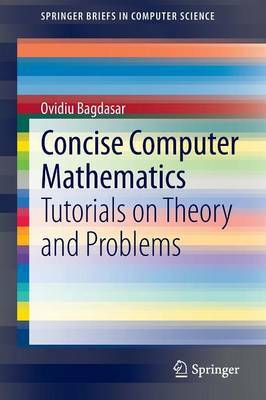 Adapted from a modular undergraduate course on computational mathematics, Concise Computer Mathematics delivers an easily accessible, self-contained introduction to the basic notions of mathematics necessary for a computer science degree. The text reflects the need to quickly introduce students from a variety of educational backgrounds to a number of essential mathematical concepts. The material is divided into four units: discrete mathematics (sets, relations, functions), logic (Boolean types, truth tables, proofs), linear algebra (vectors, matrices and graphics), and special topics (graph theory, number theory, basic elements of calculus). The chapters contain a brief theoretical presentation of the topic, followed by a selection of problems (which are direct applications of the theory) and additional supplementary problems (which may require a bit more work). Each chapter ends with answers or worked solutions for all of the problems.